Lassiter High makes top school list! A total of 28 public schools in Cobb County have been named top-performing schools by Gov. Nathan Deal’s office. A total of 25 Cobb School District schools are part of this year’s Governor’s Office of Student Achievement’s list of the state’s top 218 performing public schools that was released last week. The awards include two designations — highest performing and greatest gains — that are calculated based on the state education department’s College and Career Readiness Performance Index — the state’s grading stick. According to Dr. Ehsan Kattoula, Cobb County schools accountability director, greatest gains account for schools’ state test score growth over the past three years while highest performing schools were named based on the schools’ overall CCRPI score. Also, highest performing counts for every single measurement: achievement gap, progress, achievement that includes all assessments and graduation rate. Lassiter High School was one of only six schools in Georgia to be named platinum level — the top level — in both greatest gains and highest performing. Of those six schools, Lassiter and Gwinnett School of Mathematics, Science and Technology were the only high schools. “Lassiter has always demonstrated their growth to be much higher than the state,” Kattoula said. Lassiter High School Principal Chris Richie said his school has set high expectations and rigorous course loads for its students over the last five years. Other platinum level Cobb schools include Garrison Mill Elementary School in greatest gains and Dickerson Middle School in highest performing schools. 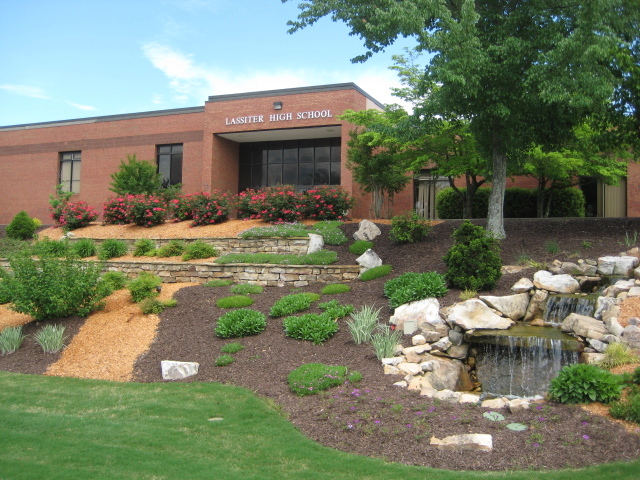 Garrison Mill Elementary feeds highly ranked Mabry Middle which feeds to Lassiter High School. Dickerson Middle feeds Walton High School – one of the two highest ranked high schools in 20 county metro Atlanta, and ranked in the top 100 nationally! This entry was posted in Real Estate Blog by admin. Bookmark the permalink.